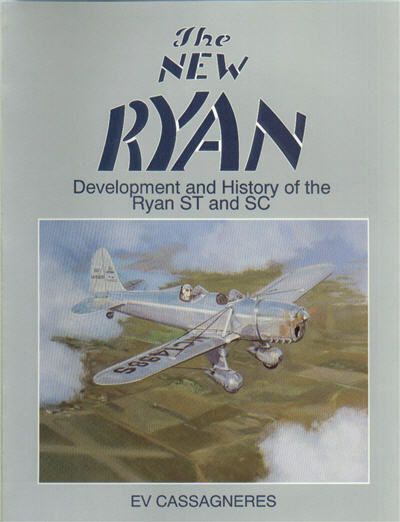 Fascinating account of two of the slickest and most glamorous airplanes of the Golden Age: the Ryan ST (Sport Trainer) and the Ryan SC (Sport Cabin). Book is chronologically organized, thoroughly documented with photos, specs and performance figures. This book is jam-packed with little-known facts and superb photographs. Also includes the Ryan PT series with Kinner engines. The New Ryan book: 160 pgs, softbound, 8.5 x 11, 278 photos.